Considering A Tax Deferred 1031 Exchange? Connect you with a Qualified Intermediary. Assist you in finding all 1031 replacement property options. Locate and evaluate Triple Net Lease Properties (NNN). Educate you on how oil and gas properties can qualify. Find you a qualified 1031 Exchange RE Agent or Broker. Help you locate a professional 1031 Attorney or Accountant. Supply the financing on your replacement property. 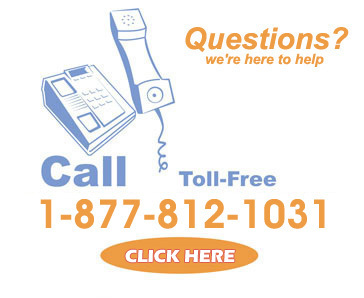 Most importantly, we answer any 1031 related questions. Searches related to 1031 exchange: 1031 exchange rules 2016, 1031 exchange rules, 1031 exchange examples, 1031 exchange companies, 1031 exchange primary residence, 1031 exchange definition, 1031 reverse exchange, 1031 exchange timeline. Due to the fact that exchanging, a property, represents an IRS-recognized approach to the deferral of capital gain taxes, it is very important for you to understand the components involved and the actual intent underlying such a tax deferred transaction. It is within the Section 1031 of the Internal Revenue Code that we can find the appropriate tax code necessary for a successful exchange. We would like to point out that it is within the Like-Kind Exchange Regulations, issued by the US Department of the Treasury, that we find the specific interpretation of the IRS and the generally accepted standards of practice, rules and compliance for completing a successful qualifying transaction. Within this web site we will be identifying these IRS rules, guidelines and requirements of a 1031. It is very important to note that the Regulations are not just simply the law, but a reflection of the interpretation of the (Section 1031) by the IRS. The total purchase price of the replacement "like kind" property must be equal to, or greater than the total net sales price of the relinquished, real estate, property. All the equity received from the sale, of the relinquished real estate property, must be used to acquire the replacement, "like kind" property. The extent that either of these rules (above) are violated will determine the tax liability accrued to the person executing the Exchange. In any case which the replacement property purchase price is less, there will be a tax responsibility incurred. To the extent that not all equity is moved from the relinquished to the replacement property, there will be tax. This is not to say that the (1031) exchange will not qualify for these reasons. Keep in mind, partial exchanges do in fact, qualify for a partial tax-deferral treatment. This simply means that the amount, of the difference (if any), will be taxed as a boot or "non-like-kind" real estate property. A property transaction can only qualify for a deferred tax exchange if it follows the 1031 exchange rule laid down in the US tax code and the treasury regulations. The foundation of 1031 exchange rule by the IRS is that the properties involved in the transaction must be "Like Kind" and Both properties must be held for a productive purpose in business or trade, as an investment. The 1031 exchange rule also lays down a guideline for the proceeds of the sale. The proceeds from the sale must go through the hands of a "qualified intermediary" (QI) and not through your hands or the hands of one of your agents or else all the proceeds will become taxable. The entire cash or monetary proceeds from the original sale has to be reinvested towards acquiring the new real estate property. Any cash proceeds retained from the sale are taxable. The second fundamental rule is that the 1031 exchange requires that the replacement property must be subject to an equal or greater level of debt than the property sold or as a result the buyer will be forced to pay the tax on the amount of decrease. If not he/she will have to put in additional cash to offset the low debt amount on the newly acquired property. There are 2 timelines that anybody going for a 1031 property exchange or (NNN) should abide by and know. The Identification Period: This is the crucial period during which the party selling a property must identify other replacement properties that he proposes or wishes to buy. It is not uncommon to select more than one property. This period is scheduled as exactly 45 days from the day of selling the relinquished property. This 45 days timeline must be followed under any and all circumstances and is not extendable in any way, even if the 45th day falls on a Saturday, Sunday or legal US holiday. The Exchange Period: This is the period within which a person who has sold the relinquished property must receive the replacement property. It is referred to as the Exchange Period under 1031 exchange (IRS) rule. This period ends at exactly 180 days after the date on which the person transfers the property relinquished or the due date for the person's tax return for that taxable year in which the transfer of the relinquished property has occurred, whichever situation is earlier. Now according to the 1031 exchange (IRS) rule, the 180 day timeline has to be adhered to under all circumstances and is not extendable in any situation, even if the 180th day falls on a Saturday, Sunday or legal (US) holiday. Section 1031 of the Internal Revenue Code (IRC) provides for investors to defer capital gains taxes on the sale of business or investment property when they reinvest the proceeds of that sale in the purchase of a new business or investment property. “No gain or loss shall be recognized on the exchange of property held for productive use in a trade or business or for investment, if such property is exchanged solely for property of like-kind which is to be held either for productive use in a trade or business or for investment.” IRC § (a)(1). On October 1, 2013, new legislation that regulates qualified intermediaries facilitating tax-deferred 1031 exchanges took effect in Connecticut. This law, Public Act 13-135, is similar to the Model Act which has been endorsed and widely publicized by the Federation of Exchange Accommodators, a trade group of professional qualified intermediaries (QIs). QIs, also known as accommodators, are companies engaged in the business of facilitating tax-deferred property exchanges under IRC §1031. Their duties are defined by statute, although Nevada is the only state to require that QI’s be licensed. Stringent restrictions provide that no relative or person who has had a financial relationship with the taxpayer conducting the exchange during the prior two years may serve as the QI in the exchange. Specifically, the Connecticut law provides several new protections for 1031 exchange participants who hire QIs to carry out qualifying transactions. First, QIs must now deposit all exchange funds into separately-identified financial accounts that provide liquidity and preserve principal, and they may not co-mingle exchange funds with their own funds. Written authorization from both the client and the QI is required for any withdrawal from these accounts. Also, exchange funds are no longer subject to any attachment or execution resulting from an unrelated claim against the QI. Next, Public Act 13-135 also requires QIs to maintain a fidelity bond of at least $1million, along with an either an Errors and Omissions insurance policy of at least $250,000, or irrevocable letters of credit for a minimum of $250,000. Furthermore, the new law mandates that taxpayers with relinquished or “parked” property in Connecticut be notified within 10 business days of any change in control of their designated QI (triggered when over 50% of said QI’s ownership interests or assets are to be transferred). This notification may be accomplished by first class mail, e-mail or by facsimile transmission. Lastly, Public Act 13-135 sets forth a list of acts that QIs are prohibited from engaging in, including material and continued misrepresentations, fraud, and failing to provide clients with a timely accounting of the exchange funds held by the QI. The new Connecticut law is similar to statues already in place in states such as California, Colorado, Nevada, Washington and Virginia. Unless expressly stated otherwise on this website, (1) nothing contained in this website was intended or written to be used, can be used by any taxpayer, or may be relied upon or used by any taxpayer for the purposes of avoiding penalties that may be imposed on the taxpayer under the Internal Revenue Code of 1986, as amended; (2) any written statement contained on this 1031exchange website relating to any federal tax transaction or matter may not be used by any person to support the promotion or marketing or to recommend any federal tax transaction or matter; and (3) any taxpayer should seek advice based on the taxpayer's particular circumstances from an independent tax advisor with respect to any federal tax transaction or matter contained in this 1031exchange website. No one, without our express written permission, may use any part of this website in promoting, marketing or recommending an arrangement relating to any federal tax matter to one or more taxpayers.